As March Madness is fully upon the American sporting world, and people are looking with anticipation (or defeat) at their brackets, one story that has permeated men’s college basketball for the second half of the season is the unfortunate story of Duke University’s talented Freshman, Zion Williamson, who suffered a major knee injury when one of his shoes became compromised and appeared to disintegrate. In light of Mr. Williamson’s injury, reports were that he as well as Duke were pursuing possible legal action against Nike. In any injury caused by a consumer product, retaining the services of an experienced personal injury or product defects attorney can be crucial to obtaining reimbursement for the costs associated with recovery. 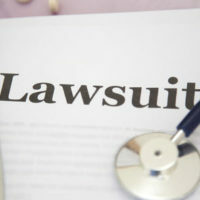 One of the biggest issues involved in personal injury matters involving defective products is ensuring that not only is the most appropriate person or entity properly sued, but that the link between the defective product, the responsible party, and the individual’s injury is clearly illustrated. In many cases, putting a product into the marketplace requires a manufacturer ensure that its product is safe for public use. By way of example, most articles of clothing must have a predetermined degree of fire retardation. In other words, the federal government has issued guidelines to ensure that certain articles of clothing maintain a specified degree of inflammability, so that the wearer is not at risk for intense burns. The majority of these articles of clothing are those that are man-made, being typically petroleum (i.e., oil) based products, and, as a result, are extremely susceptible to combusting when coming in contact with a flame (such as cigarettes, fireworks, fireplaces, and grills). Under the general theory of negligence, holding the footwear manufacturer responsible for injuries more accurately under the heading of products liability. Under this legal theory, an injured plaintiff must show that the manufacturer designed, manufactured, or advertised an article of footwear with a defect, and that the defect was the direct cause of the injuries suffered by the plaintiff. Although the difficulty lies in proving both elements, the second element (causation) provides the tougher challenge. Specifically, there are many aspects of failing clothing that can be attributed to the wearer. In the specific case of footwear, and by way of example, an individual who insists on wearing improperly sized shoes can cause unnatural wear and tear on the shoe, which could result in compromised integrity of the shoe. Additionally, routinely wearing a shoe in wet conditions when precautions have not been made for protecting the shoe can reduce liability on the manufacturer. Finally, accelerated wear and tear brought on by improper care may also absolve the manufacturer. In any event, discussing an injured individual’s situation with an experienced attorney will help determine what is most appropriate. If you have suffered an injury due to a defective shoe or other consumer product, contact the experienced personal injury attorneys at Pita Weber Del Prado as soon as possible. We know how to handle personal injury and product defect claims, and will use this experience to your advantage. If we believe that the shoe or clothing manufacturer can be held responsible for your injuries, we will develop a strategy to pursue the most compensation possible. Contact our Miami office today for an initial consultation.